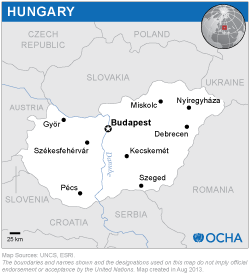 The role of the Hungarian UN-SPIDER Regional Support Office (RSO) is to harness regional strength in spaceborne and airborne disaster management and emergency response. 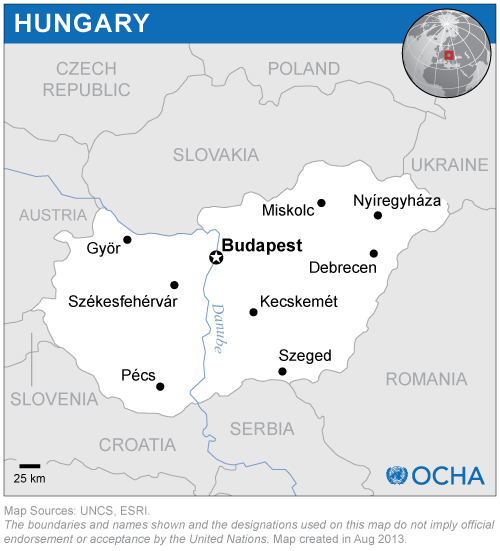 The Hungarian UN-SPIDER RSO is hosted in the Research Institute of Remote Sensing (RIRS) at Karoly Robert University College (KRF). The mission of the RIRS is to conduct basic and applied remote sensing research for the advancement of scientific knowledge about the environment. The institute focuses on the environmental applications of state-of-the-art remote sensing and GIS systems, as well as the development of techniques to enhance the usefulness of these systems. Hyperspectral (HS) applications are of special interest. RIRS emplys five research staff with expertise in remote sensing, GIS and field measurements. Our team is responsible for conducting all phases of remote sensing operations, including flight/mission planning, sensor maintenance, data acquisition, data processing and data analysis. Team members are highly experienced in the integration and deployment of sensors in diverse aerial platforms based throughout the world. Our research group has a balanced composition of remote sensing researchers with natural resources backgrounds and computer scientists interested in digital image processing and time-series analysis. Infrastructure: Aerial platform (aircraft), hyperspectral sensor system, survey-grade GPS systems, total stations, field GPS systems, field spectrophotometer, A0 scanner/plotter, high performance computing (HPC), GIS workstations, GIS and remote sensing software etc. MODIS, LANDSAT, SRTM and ASTER data coverage for Hungary. Airborne hyperspectral and Lidar data (not full coverage). Other thematic digital maps include soil, climate, hydrology, agriculture, and Natura 2000.